The Essence of Infinite Beauty. 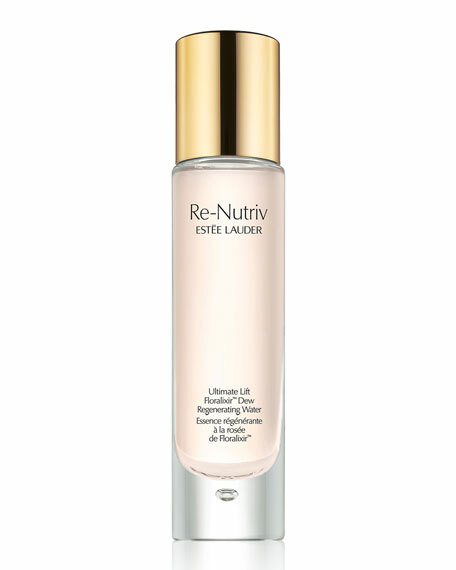 A brilliantly concentrated infusion to renew your skin's smoother, firmer, more lifted look. Now, a powerful concentration of our exclusive Floralixir Dew nourishes, soothes and strengthens skin against future signs of aging. Endlessly renews your youthful radiance. A potent force to reawaken skin's youthful renewal. It begins with select flowers, including a precious flower from the Himalayas, known for its extraordinary ability to thrive in an extreme environment. Its potency magnified by the power of Re-Nutriv science. Gently pat onto clean, dry skin, AM and PM before serum. For in-store inquiries, use sku #2129115.